Located in Connemara, Co. Galway, Connemara Coastal Cottages is a personally run self-catering holiday agency. It was formed in 1995 in response to a demand for reasonably priced, high standard self-catering accommodation in the breath-taking West of Ireland. We have an impressive portfolio of cottages ranging from quaint two bedroom cottages to luxury seaside homes. With cottages in all areas of Connemara you can be sure to find a property to suit your needs and your budget. 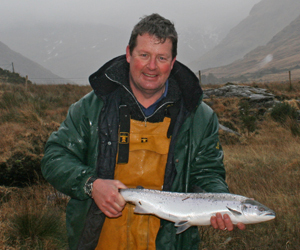 The Connemara Coastal Cottages team can help and guide you every step of the way if you are unfamiliar with Connemara. We live & breath Connemara & want you to explore & discover all it’s hidden gems. 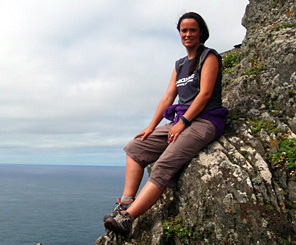 Originally from Kildare, Siobhan has been a lover of Connemara since starting her career as an Outdoor Pursuits instructor at age 17 and while she has travelled the world and lived in a number of other locations in Ireland, Connemara was always calling her back and she has made it her home now for over 15 years. She is a huge advocate for Connemara & has completed the Failte Ireland Wild Atlantic Way Champions course & is on the steering group for CAITN – Connemara & Aran Islands Tourism Network. We want all our guests to love Connemara as much as we do, so we are here to help you stay in the right location to suit your needs and also give you advice on what there is to see & do in Connemara, including the hidden gems. Many are within walking distance of some of the finest beaches in the West. We provide the perfect getaway holiday that is so needed in today's busy world. A wide range of cottages offers the very best in self catering accommodation from short breaks for couples to fine luxury houses suitable for one or two families or even a group holiday. We have even accommodated film crews. The 3 and 5 days special offer breaks have proved extremely popular with clients. With new cottages being added frequently, the business is expanding even more to meet the changing needs of holidaymakers.Connemara Coastal Cottages takes great pride in knowing all the locations and residences personally. Our team have exclusive local knowledge. We work together to produce the best quality website. There is extensive information on each property so we can give you the ultimate self catering experience.